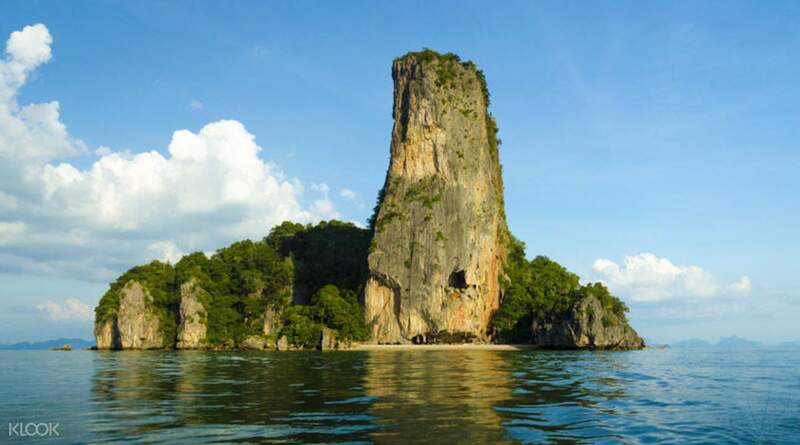 Paddle Thai nature and see famed James Bond Island! Awesome tour! We visited so many different islands, could experience canoeing and met awesome people. Highly recommend this tour. 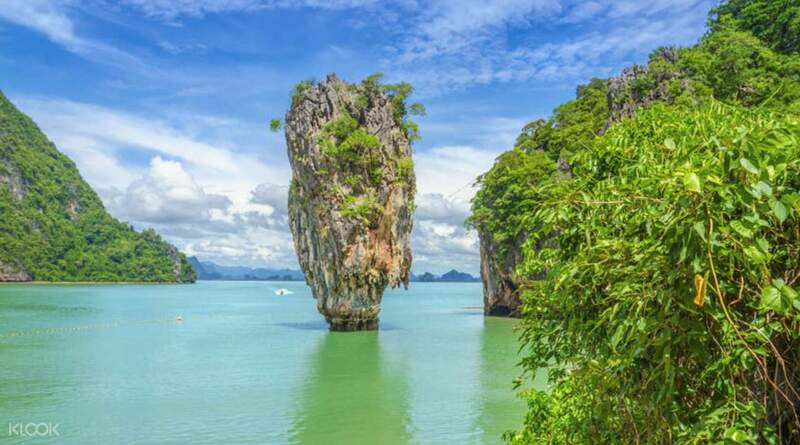 An impressive limestone monolith jutting up from emerald waters, James Bond Island is a landmark not to be missed. And what better way to explore than by canoe! 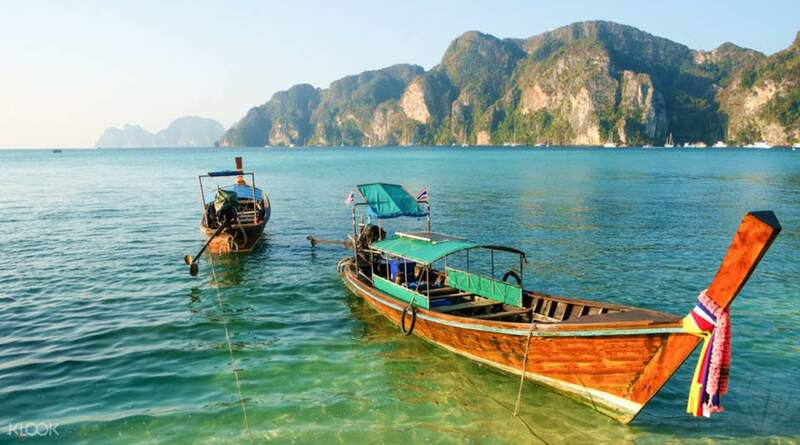 Venture north by boat to explore the incredible beauty of Phang Nga National Park. Sightsee the spectacular nature from your canoe and paddle into Mut Cave at Panak Island. A delicious lunch spread is prepared on board before spending the afternoon at your leisure. 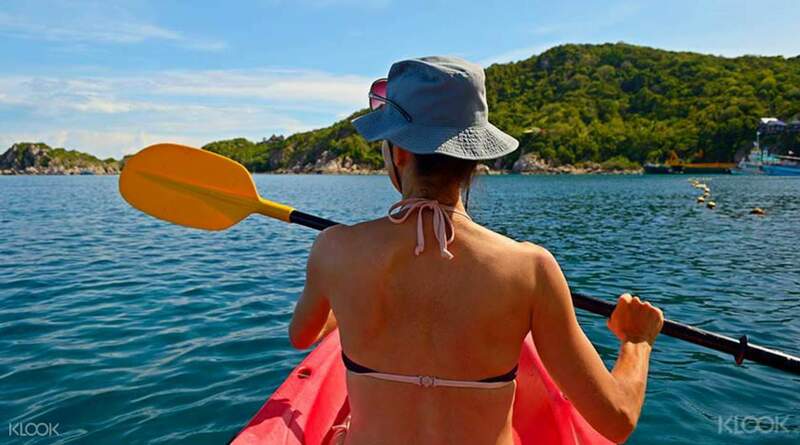 Naka Bay or Lawa Island are the ideal locations to relax, have a swim or practice your canoeing skills amongst the luscious scenery and tropical waters of the national park. And when your limbs are just beginning to ache, you'll be whisked back home, direct to your hotel. 10:30am arrive at Panak Island and enjoy canoeing into "Bat Cave" or "Mangrove cave"
This was an awesome day on the water. We were perfectly happy with the big boat and didn’t want the speed boat. We wanted to take our time to enjoy the whole experience. We felt completely safe and happy all day. The staff were lovely, Don is a good communicator and his info is clear. During longer (45 minutes) between islands he would share information or involve us in amusing brain teasers. The lunch was good and catered for a vegetarian in our group. The guides in the canoes were great too. They even put on a cooking demonstration on our way back to the pier and involved the group. I have no complaints - this was a great day out in the bay. This was an awesome day on the water. We were perfectly happy with the big boat and didn’t want the speed boat. We wanted to take our time to enjoy the whole experience. We felt completely safe and happy all day. The staff were lovely, Don is a good communicator and his info is clear. During longer (45 minutes) between islands he would share information or involve us in amusing brain teasers. The lunch was good and catered for a vegetarian in our group. The guides in the canoes were great too. They even put on a cooking demonstration on our way back to the pier and involved the group. I have no complaints - this was a great day out in the bay. We had a great day. Staff were friendly and helpful, the location was beautiful and the big boat was comfortable. They really thought of everything from a delicious lunch prepared on the boat, drinks, tea coffee- even entertainment for the kids on the trip back. Something that might be helpful, it's the staff that paddle the kayaks which is helpful as the caves can be low and tight. If you ask, you can paddle yourself in open water. We had a great day. Staff were friendly and helpful, the location was beautiful and the big boat was comfortable. They really thought of everything from a delicious lunch prepared on the boat, drinks, tea coffee- even entertainment for the kids on the trip back. Something that might be helpful, it's the staff that paddle the kayaks which is helpful as the caves can be low and tight. If you ask, you can paddle yourself in open water. Full day program. Amazing stones on 007 island. Good experience with the sea Canoeing. Funny and friendly Canoeing driver who helped taking photos for us. Nice food on boat as well. Really worth to Ho for 1 full day trip. Full day program. Amazing stones on 007 island. Good experience with the sea Canoeing. Funny and friendly Canoeing driver who helped taking photos for us. Nice food on boat as well. Really worth to Ho for 1 full day trip. The tour boat crew and guides were extremely helpful. They assigned two people per kayak along with a guide who was polite and allowed us to take a lot of photos. The guide would also take pictures of is when we asked. 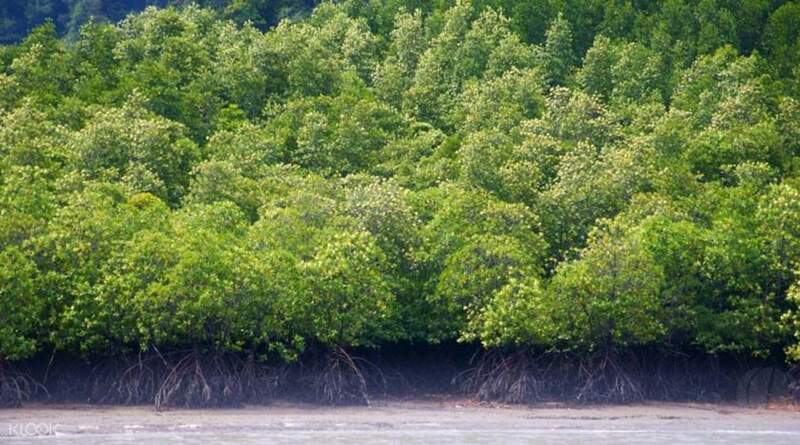 The mangrove caves were beautiful, so was the lagoon at Hong Island. The James Bond island provides good photo opportunities and is really scenic! The buffet lunch on the boat, was really good! They also kept an unlimited supply of coke, water, coffee etc. The tour boat crew and guides were extremely helpful. They assigned two people per kayak along with a guide who was polite and allowed us to take a lot of photos. The guide would also take pictures of is when we asked. The mangrove caves were beautiful, so was the lagoon at Hong Island. The James Bond island provides good photo opportunities and is really scenic! The buffet lunch on the boat, was really good! They also kept an unlimited supply of coke, water, coffee etc. Islands were really beautiful and canoeing between them felt amazing! Our boat guy even let me out of the boat so I could swim! Jumping off the boat to swim next to the beautiful island was also amazing. James Bond isand is really crowded, u need to line up to take a pic unfortunately. Cave smells bad like bats but it is a part of nature so what can we do? Lunch was really nice, free cola and water all the time available on the boat. Islands were really beautiful and canoeing between them felt amazing! Our boat guy even let me out of the boat so I could swim! Jumping off the boat to swim next to the beautiful island was also amazing. James Bond isand is really crowded, u need to line up to take a pic unfortunately. Cave smells bad like bats but it is a part of nature so what can we do? Lunch was really nice, free cola and water all the time available on the boat. Pros: - The canoeing was done by one of the boat crews, so you could fully enjoy the scenery. You can also see small fishes in the water. My family and I were lucky enough to see a jellyfish! - Everything paid for, don’t have to worry about extra charges except for some tips for the boat crew. - Renting of drybag available. - Timing felt just nice, doesn’t feel rushed, except James Bond island. - The guides on the boat were very friendly and helpful. - We had to go through a pitch dark cave on the canoe to get to another area, was really amazing!! You can ask the canoe guide to show you the bats perching on the top of the caves. - The tour was really on time, as we arrived back at the hotel at 5.30pm. Cons: - The minibus was 15min late in our case and the number provided by the operator was unregistered. Understandable that there may be delays when picking up other passengers but its a bit disappointing how we cannot check about when the bus will arrive. - When we arrived at the pier (I think we were the last few buses to arrive), we didn’t have enough time to enjoy the coffee and snacks provided. - Would have been better if we had more than 30min on James Bond island. In general, a very good tour for a good price. The cons mentioned are just small issues that may not happen to everyone, so would highly recommend this tour to others! Pros: - The canoeing was done by one of the boat crews, so you could fully enjoy the scenery. You can also see small fishes in the water. My family and I were lucky enough to see a jellyfish! - Everything paid for, don’t have to worry about extra charges except for some tips for the boat crew. - Renting of drybag available. - Timing felt just nice, doesn’t feel rushed, except James Bond island. - The guides on the boat were very friendly and helpful. - We had to go through a pitch dark cave on the canoe to get to another area, was really amazing!! You can ask the canoe guide to show you the bats perching on the top of the caves. - The tour was really on time, as we arrived back at the hotel at 5.30pm. Cons: - The minibus was 15min late in our case and the number provided by the operator was unregistered. Understandable that there may be delays when picking up other passengers but its a bit disappointing how we cannot check about when the bus will arrive. - When we arrived at the pier (I think we were the last few buses to arrive), we didn’t have enough time to enjoy the coffee and snacks provided. - Would have been better if we had more than 30min on James Bond island. In general, a very good tour for a good price. The cons mentioned are just small issues that may not happen to everyone, so would highly recommend this tour to others! It was a good experience and we enjoyed the views of the sea and also the food on the boat. The kayaking to the caves was really but it was kinda short. It was a good experience and we enjoyed the views of the sea and also the food on the boat. The kayaking to the caves was really but it was kinda short. It was an amazing experience, well worth the money. Very good mix between sea cruising, canoeing and relaxing on the beach. Most of the canoeing was done by our extremely friendly guide, Rudy! Highly recommend. It was an amazing experience, well worth the money. Very good mix between sea cruising, canoeing and relaxing on the beach. Most of the canoeing was done by our extremely friendly guide, Rudy! Highly recommend. The pick up was punctual. Communication with Oriental Thai was very efficient. The food was provided as the menu given and was delicious. Generous servings too. Highly recommended tour if you are looking for something different to do in Phuket. Thank you Klook for the package. The pick up was punctual. Communication with Oriental Thai was very efficient. The food was provided as the menu given and was delicious. Generous servings too. Highly recommended tour if you are looking for something different to do in Phuket. Thank you Klook for the package.